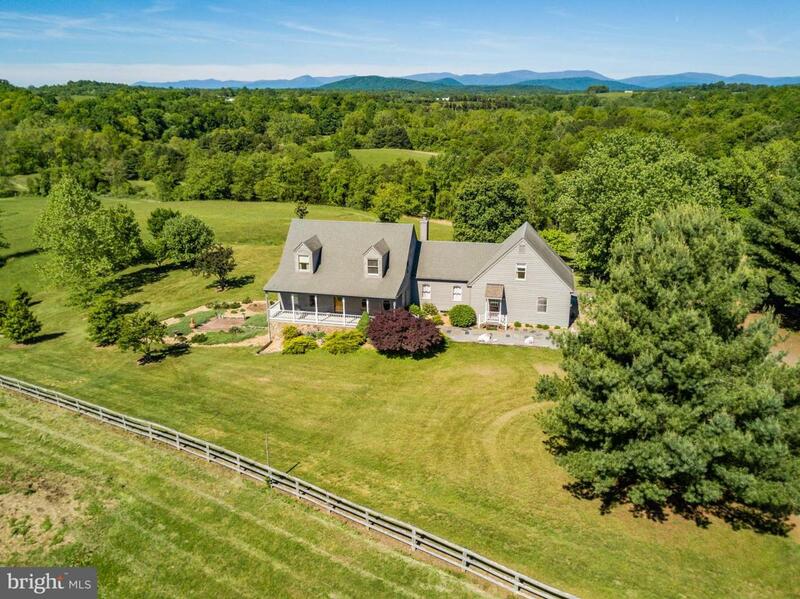 MILLION DOLLAR MOUNTAIN VIEWS! 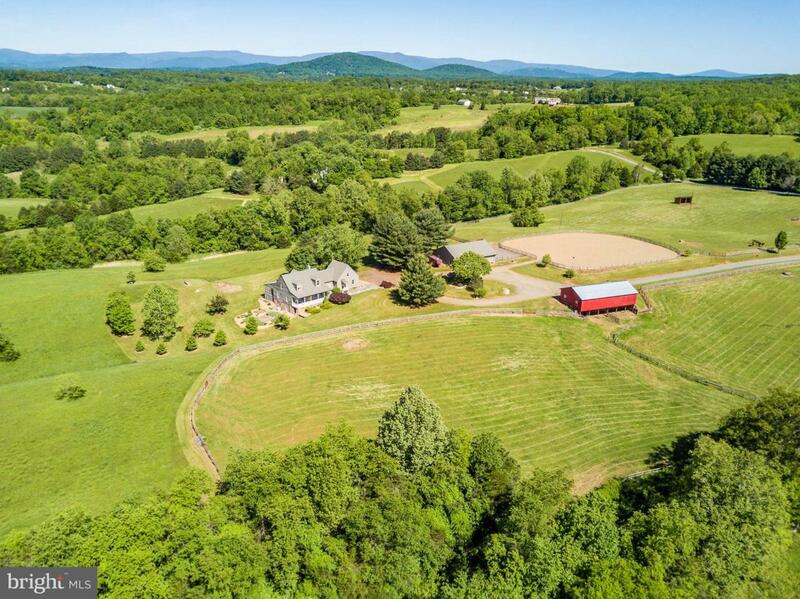 50 picturesque acres with expansive westerly views of the Blue Ridge Mountains and Old Rag. 1800' of Thorton River frontage with a private swimming hole. 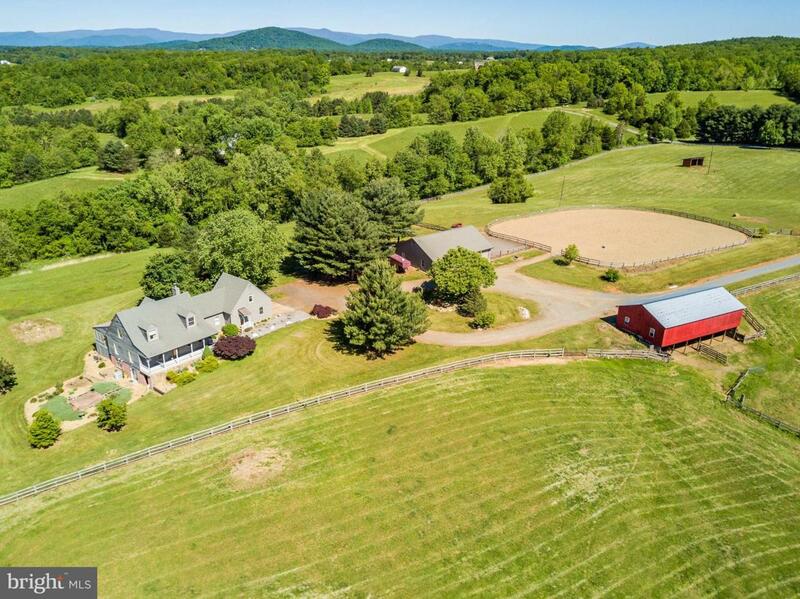 Equestrian amenities include board fenced pastures and paddocks, a two stall barn, machine shed, riding ring and automatic waterers. 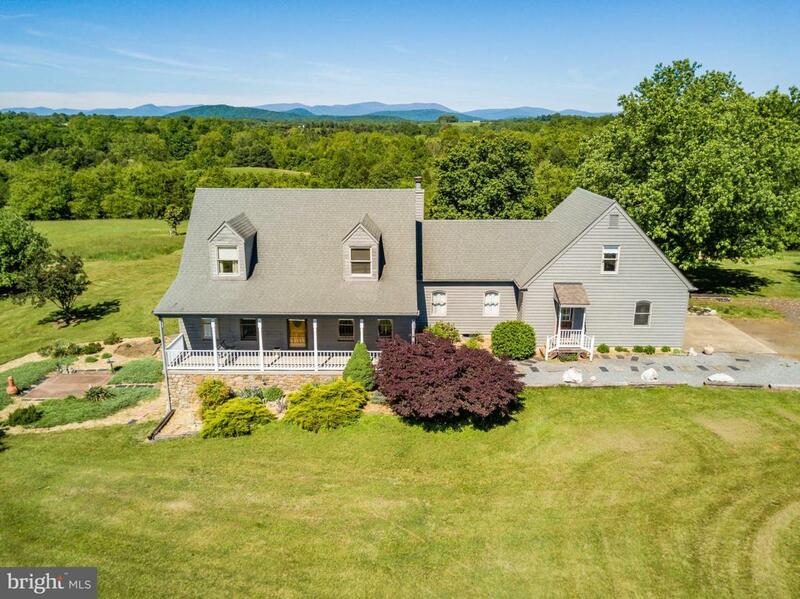 Views, privacy and charm abound in the lovingly maintained and updated cedar Cape Cod, thoughtfully designed to take full advantage of the sweeping vistas. Features include reclaimed hardwood flooring, stone-wood burning fireplace, stainless appliances, Main Level Master, 3 Season "Mountain" Room, studio/bonus room above the garage, fantastic mud room, finished light filled lower level with 2nd Master suite and full kitchen - perfect in-law/Au pair suite. This stunning property offers something for everyone - Look no further!